Unveiled: 200 Years of Wedding Fashion from the Victoria and Albert Museum, London was officially opened this morning with a special wedding breakfast for 300 guests. Perhaps surprisingly for an exhibition from wintery London, guests were adorned with lei and fresh ‘ei (flower garland) on arrival and were drawn upstairs by a turou and the rythmic beats of Cook Island drumming. Romance, weddings and the Cook Islands, however, go hand in hand as anyone who has attended a beach wedding in the Cooks can testify. 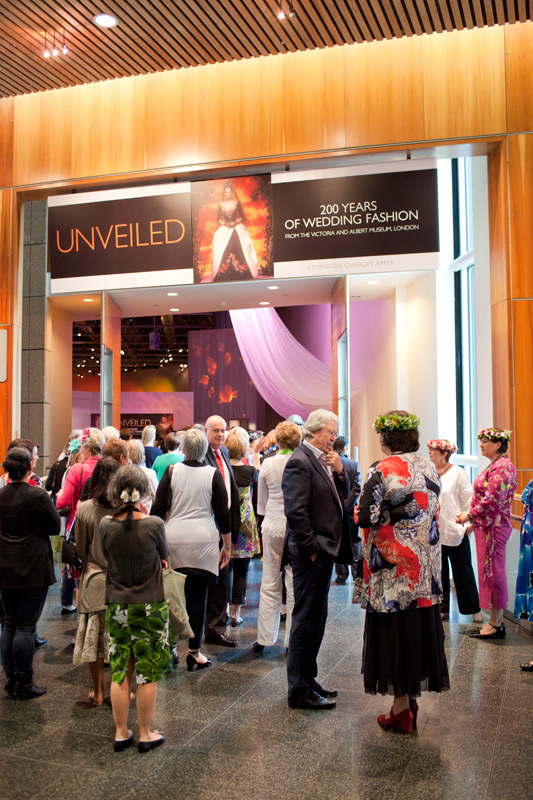 The Cook Island Tourism Corporation is one of Te Papa’s treasured partners in bringing this exhibition to New Zealand. While the morning was grey outside, a Pacific warmth radiated inside. Like many weddings today, the opening was a meeting of family, friends and cultural traditions. 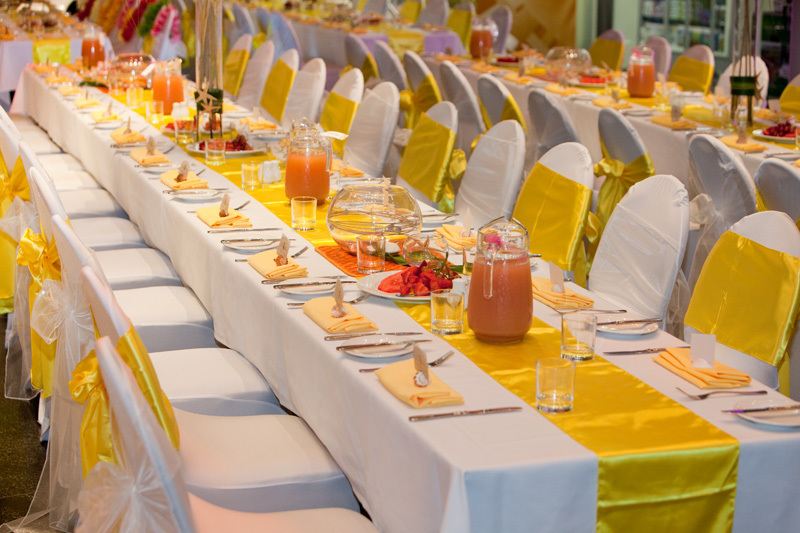 Tables set for a wedding breakfast Pacific style. 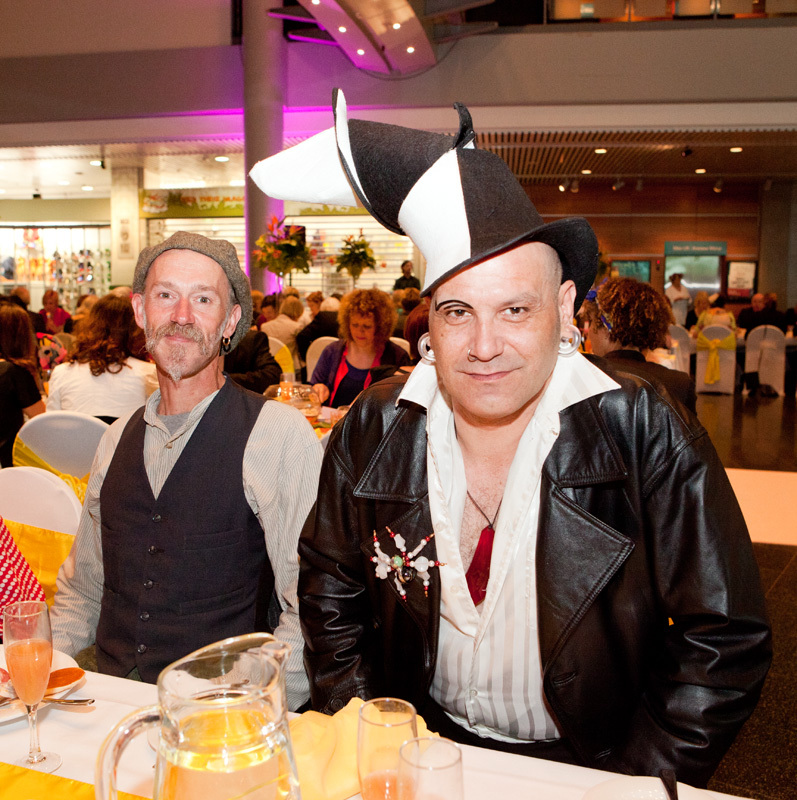 Photo: Michael Hall, Te Papa. 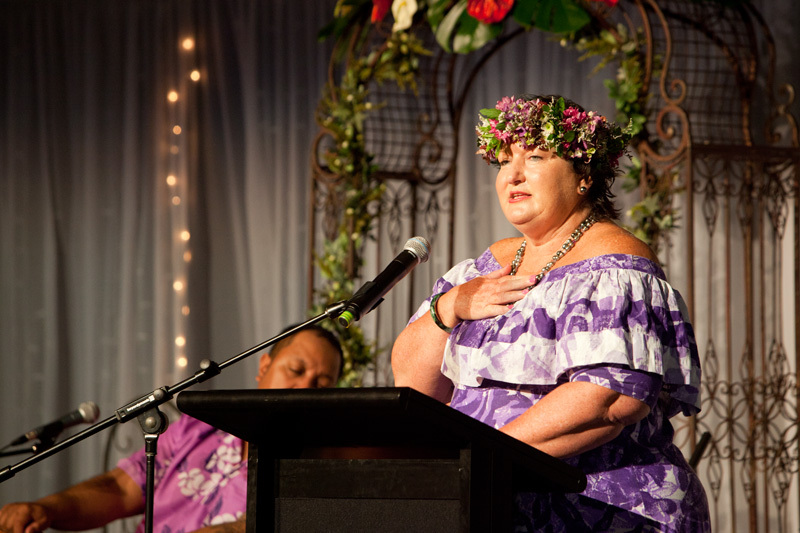 Carmel Beattie, Chief Executive of the Cook Island Tourism Corporation wooed the crowd with tales of romance. While the exhibition features a number of exquisite orange blossom garlands made from wax, paper, silk and feathers, all of the speakers wore fresh floral ‘ei. These were made by Te Papa’s Grace Hutton (Collection Manager – Pacific), and members of the Cook Island High Commission. 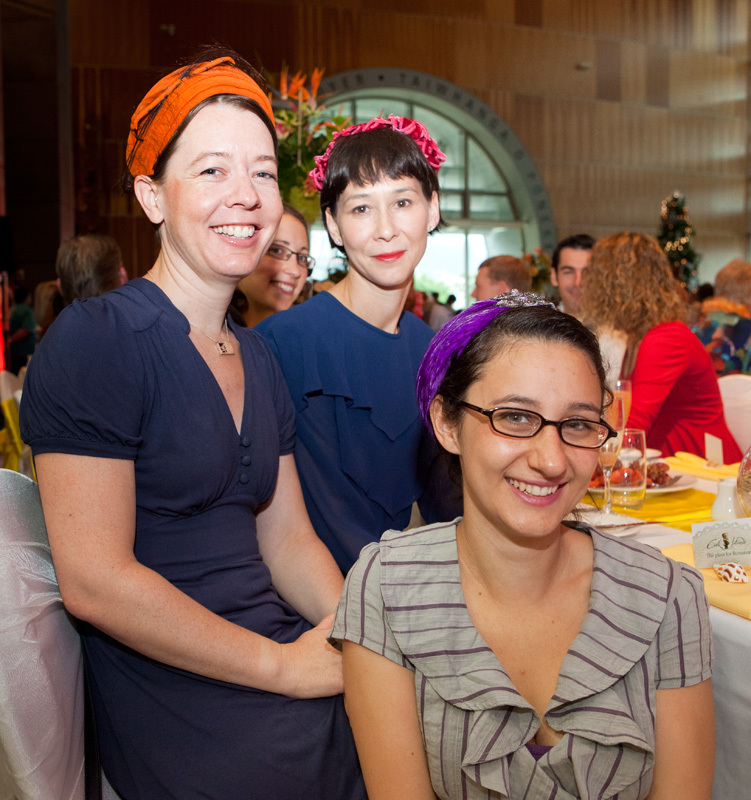 As with all good weddings hats, as well as ‘ei, were out in force. Following breakfast, Hon. Dr Michael Bassett, of the Te Papa Board, officially declared the exhibition open, and guests made a bee line for the exhibition. New Zealand designers, Lindah Lepou and Denise L’Estrange-Corbet from WORLD were among the guests. 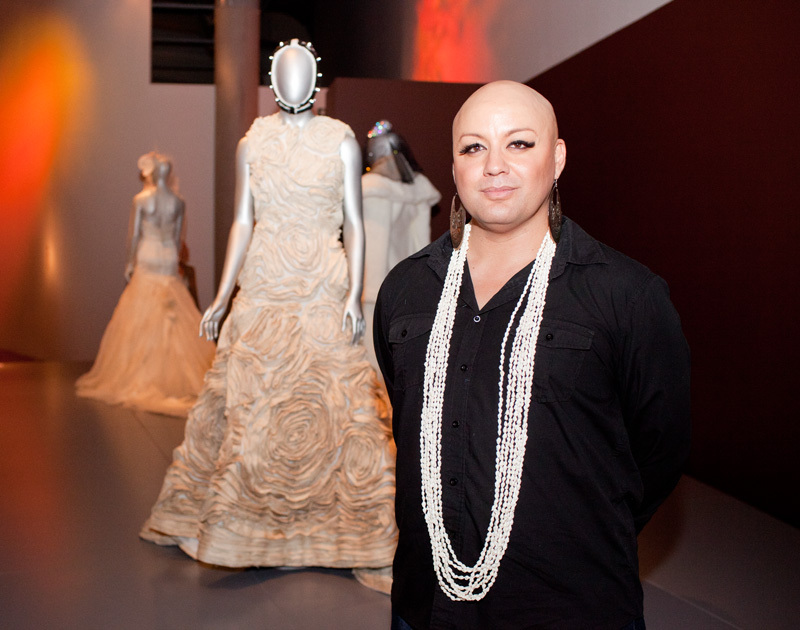 Both designers, along with Jane Yeh, were invited to make gowns for the New Zealand segment of the exhibition. 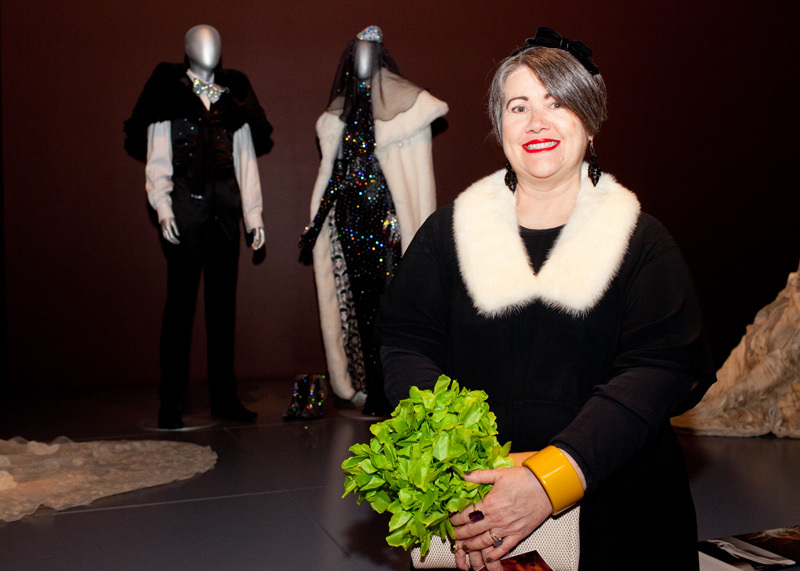 As well as having spectacular designs on exhibition by Lindah, World and Jane, New Zealand weddings are also strongly present through the in-gallery display of Te Papa’s on-line New Zealand Wedding Photo Gallery, which gets richer in content every day. The gallery reveals the creativity and also cultural diversity of wedding practices today. Terrianne Takulua and Sonatane Takulua, whose wedding is depicted below, described their wedding as ‘A beautiful day shared with a lot of family and friends – lots of different cultures intertwined to make a perfect day.’ We invite you all to upload your family photographs and to share your stories. 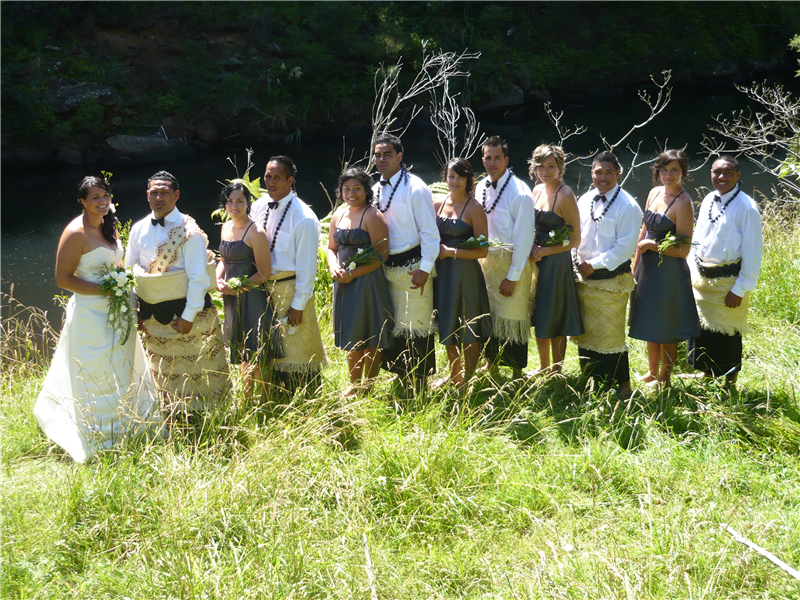 Wedding of Terrianne Takulua and Sonatane Takulua, Waipoua Forest, 2011 from Te Papa’s Wedding Gallery. Now that the exhibition is open, we look forward to seeing you at Te Papa.